Last week, I attended the memorial service of a husband of one of my good friends. 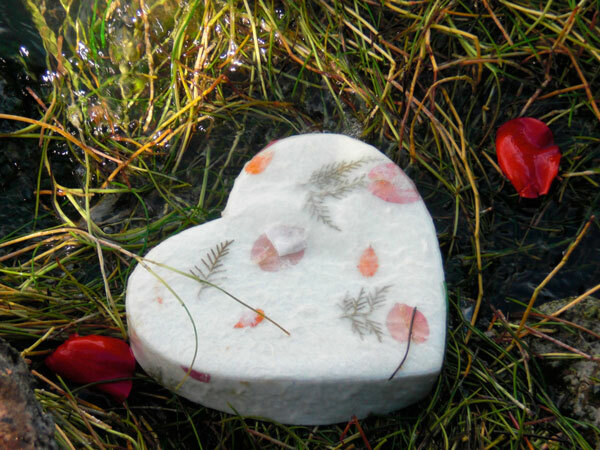 While I often help provide customers with ideas to celebrate the life of loved one, it’s rare that I’m called upon to help a friend with ideas to personalize a memorial service. 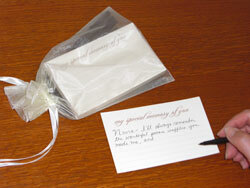 My Special Memory of You cards where friends and family share their memories of your loved on. These cards can be handed down to generations to come. I felt fortunate that it’s a subject that I happen to know a bit about and my friend Sally really appreciated it. 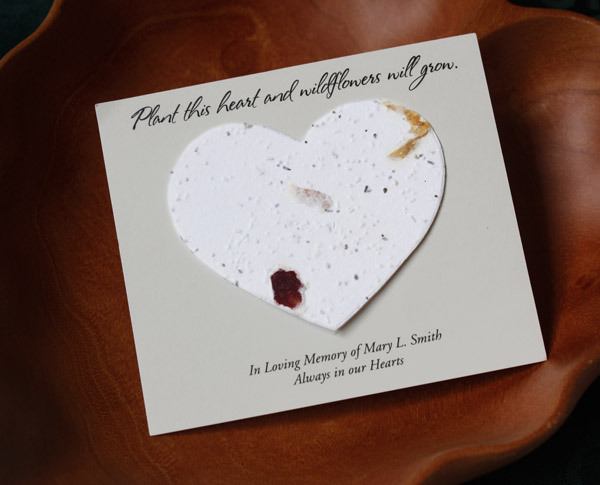 I suggested Sally use our, My Special Memory of You cards so friends and family could share their fond memories of her husband. He was a United States Circuit Court Judge so I suggested they have a memory table with his robe and gavel. After the Catholic mass, we headed to the tennis club (he was an avid tennis player) for a light lunch. I noticed Sally and her children had put together the memory table. Her husband Bill often rode his bike around town so she put his bike helmet and bright yellow riding jacket on the wall next to the table and on the table was a flag signed by his classmates from his alma mater, Notre Dame. The table also displayed his black judge’s robe and gavel along with some great photos of him. 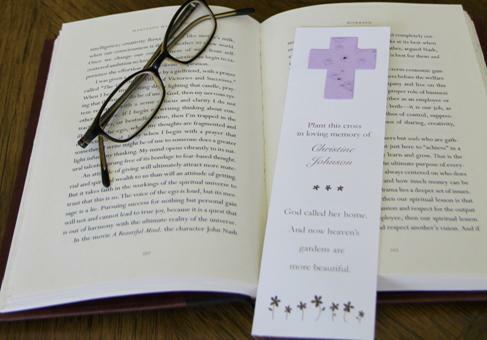 It turns out the memorial guest book was at the church and after the church service most people headed to the reception and didn’t sign the book. I was pleased when I saw on the table at the reception the My Special Memory of You cards where guest were writing down their memories of Bill on the cards. 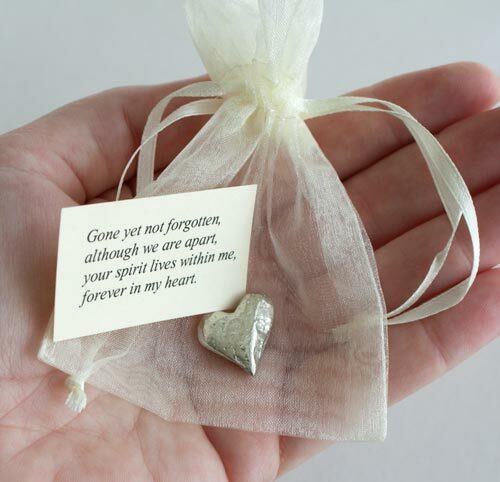 I feel the memories expressed on the cards are more meaningful than someone’s name in the funeral guest book anyway. Sally has three children and two out of three are married so children probably won’t be too far off. The memories written on the cards will give the grandchildren a great glimpse of their Grandfather. 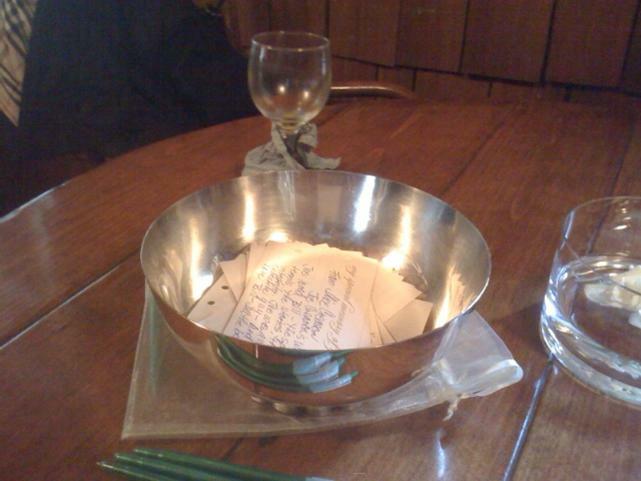 The cards were placed in a lovely silver bowl next to a gardenia. 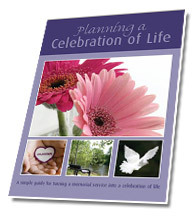 This entry was posted in Funeral Gifts, Ideas for creating a memorial, Life Celebration Ideas and tagged celebration of life, funeral cards, funeral favor, funeral gift, funeral gifts, funeral help, funeral ideas, funeral planning, instead of flowers, life celebration ideas, memorial cards, memorial gifts, memorial service ideas. Bookmark the permalink.